Our ice area has penguin for a king. A lot of animals have protested against the choice, because this white and black jester does not inspire any respect. But its outcome of democratic choice, so what can we do? Bears were strictly against and wanted our nation to be lead by animal beast, that can restore order. But stupid gulls and numerous penguins overruled them and now we have to fear for our ruler. He stands on the tip of the iceberg and it looks like he will fall down soon. And we will not help him, because we are on the side of the insurgents. This is theme of new game Eiskalt Erwischt!, in which all of this is possible. We can thank for that to Heinz Meister, author of the game and Stephane Prickenov, who embellished all pictures included in the box. Complete creation was released by HABA. Box comes this time in an elongated shape, but yellow color is everywhere again. And on the title picture, it shows us wavering penguin with umbrella and other mischievous animals, throwing snowballs at him. Their goal now seems to be finished, but it does not matter, we still like to get involved. 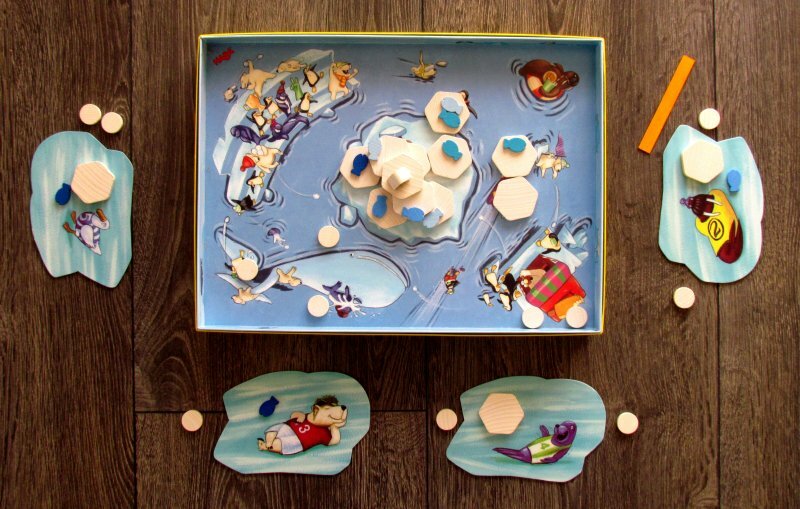 We will need a game board to create this icy world. 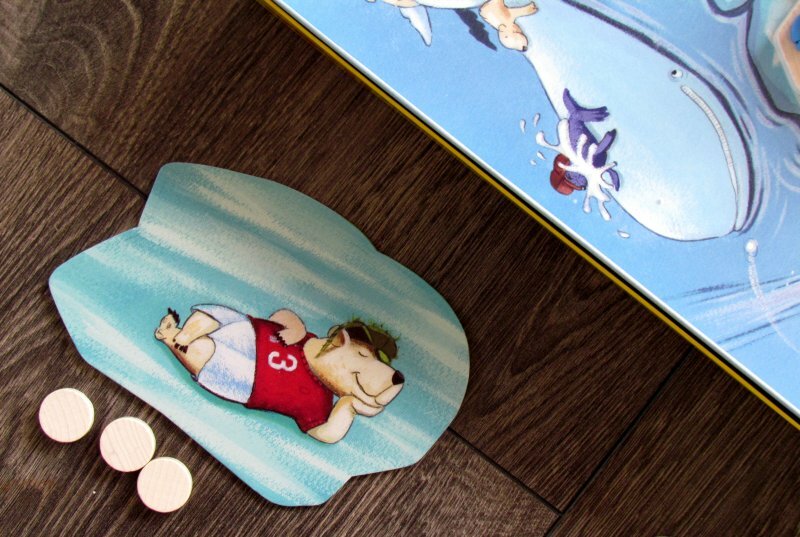 To do that, bottom of the box will serve us throughout, filled with cheerful illustrations. On its surface, there is for now also a quartet of cardboard glaciers meant for players, fourteen wooden pieces of ice and a dozen round tokens for shooting (probably snowballs). 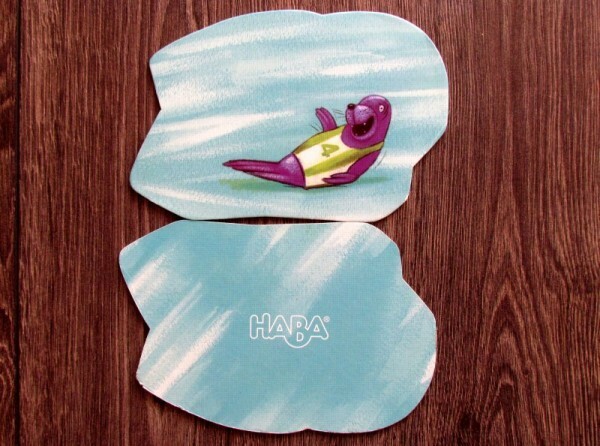 Plastic bag holds also twelve fish, penguin and one flicking pad. 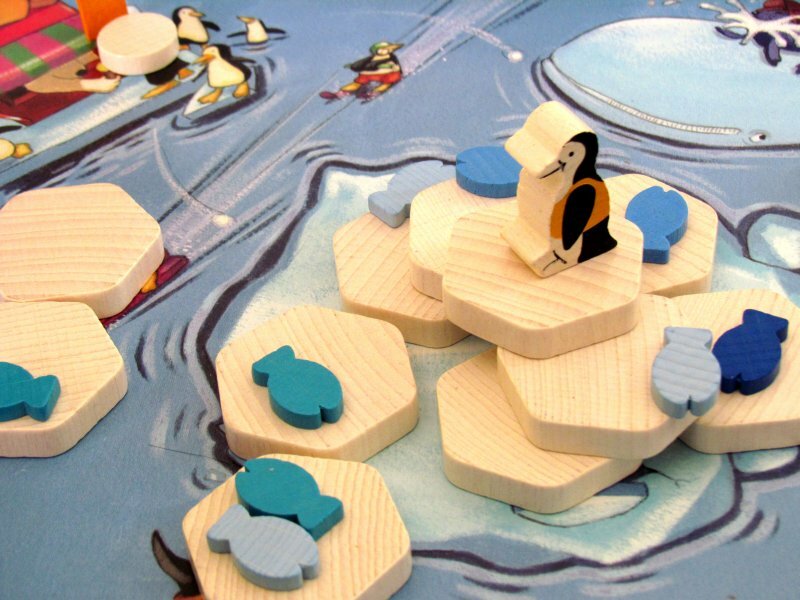 At the beginning of the game, players take apart their small glaciers, which will be used during the game to hide their catches of seafood, ice or snowballs. Ice pieces form now pattern of a three-story pyramid in the center, in which ice blocks overlap, but always leave out some space. On its peak, players stand penguin figurine and then spread all the fish across the glacier on all stumps. Each of the opponents gets one shooting disc (snowball) for his first shot. To this action, player gets only during his turn. 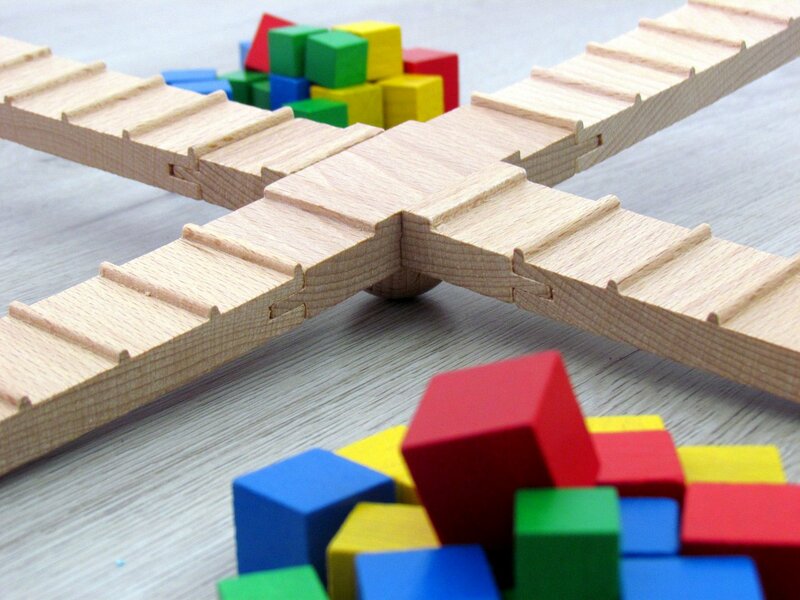 At this moment, he can freely rotate the board or stand and walk around the table. 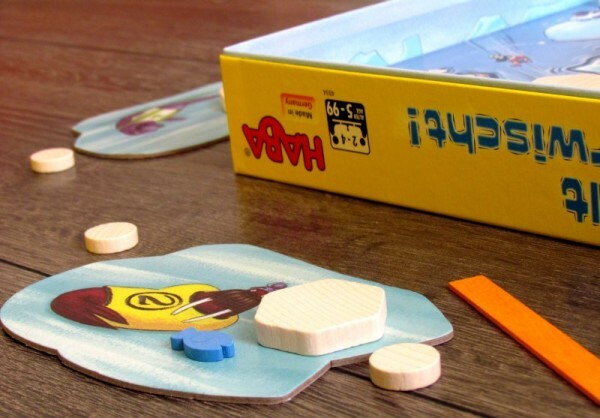 After he finds the right place, he may shoot a snowball from inside the board. He may use finger swipes or pushing rod, it only depends on his decision. They try to shoot their snowball over the water with enough power to disrupt ice constructions and to separate parts of any ice or even fish and make them afloat. 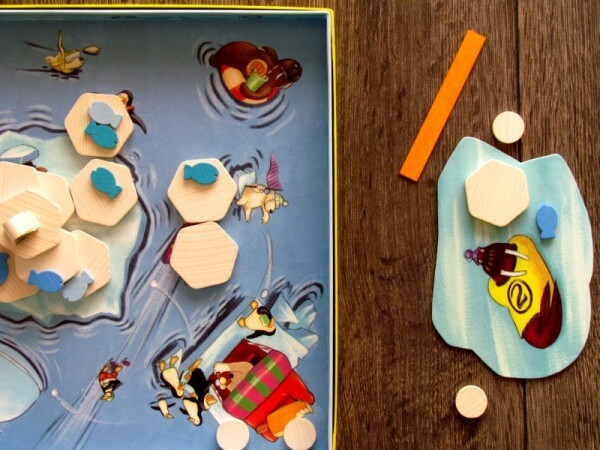 If king penguin remained in place, player can pick up successfully all those orphaned (not touching any other ice/creature/snowball) items and place them on his floe. There it will be kept until end of the game. 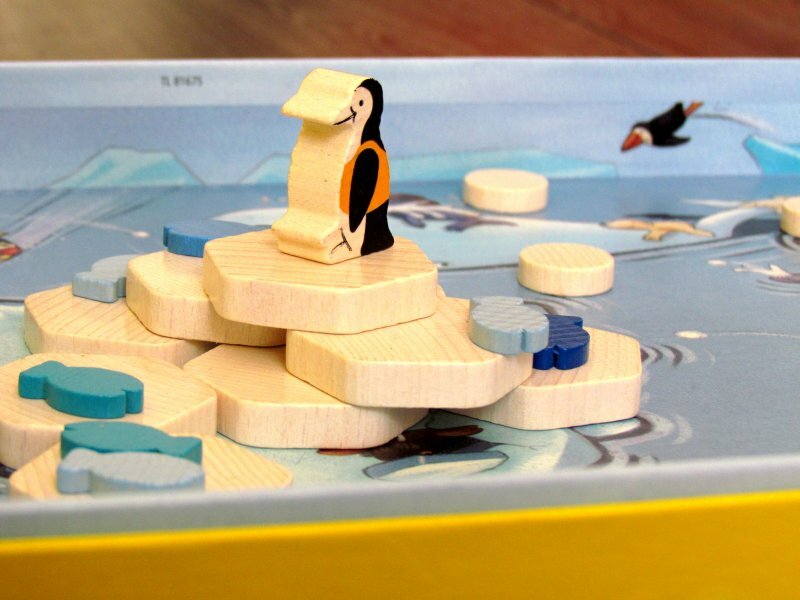 But because players must shoot with more strength, it could easily happen, that a penguin figurine on the top tumbles down. In this case, player’s turn ends, he gains nothing and any items, that became free during his turn must be divided among his opponents. Then, turn gets to another player, who places penguin back wherever he likes. 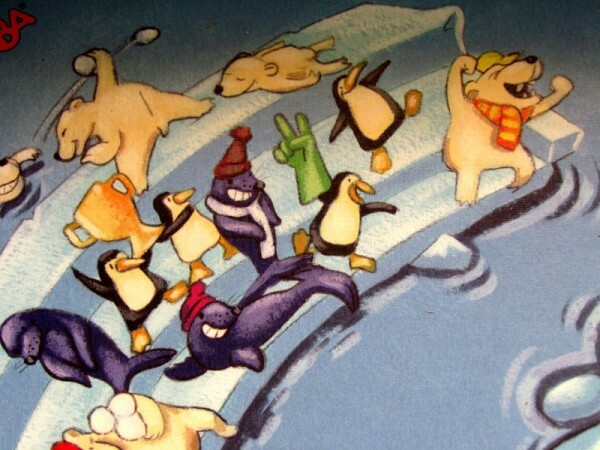 Opponents alternate until the penguin is alone on the final piece of ice. Players can then sum up number of their collected stones and whoever has the largest reserves becomes winner. Eiskalt Erwischt! is cold skill entertainment. The main purpose of this game existence is to teach children to flick and develop their fine motor skills and coordination. And this is really happening, because correct firing must be necessarily joined by aiming. Additionally, players must have a good estimate of their chances and try to maximize their catches in each round. 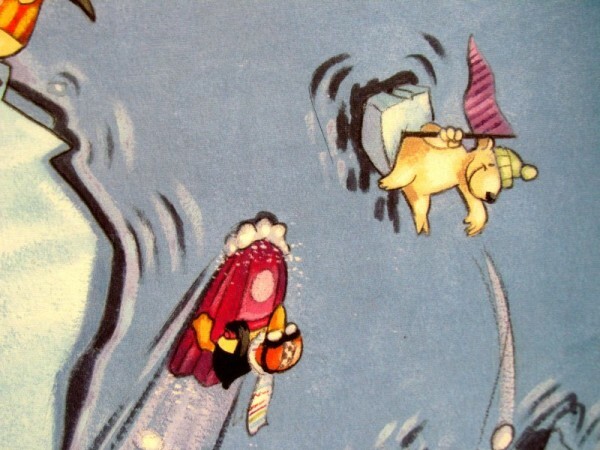 Sometimes, they have to flick hard, other times carefully not to make penguin king fall. 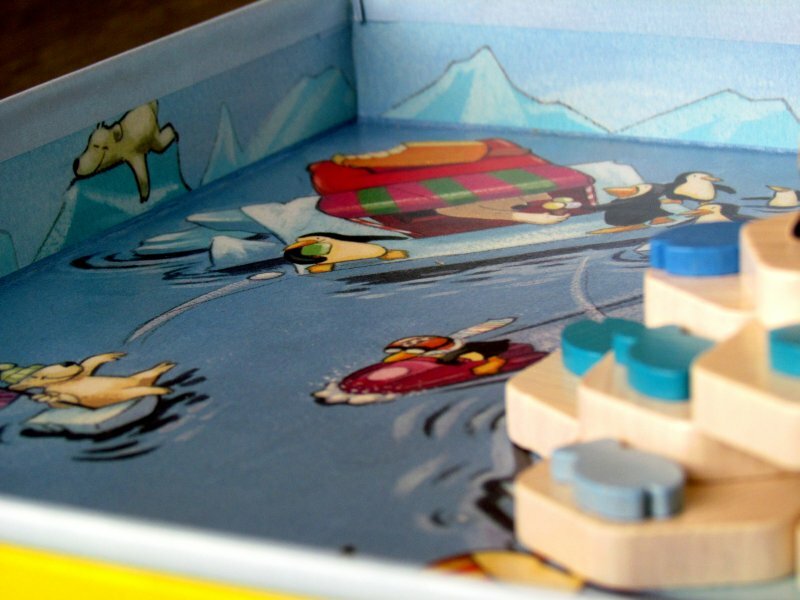 Each shot too strong, throwing penguin figurine down, is punished. Player at the moment unwillingly helps his opponents by giving them free loot. And pyramid is really not so stable to hold that penguin forever, especially when participants start breaking the ice piece by piece. Here comes tension into the game. But the game is a showcase of action and as such, it is able to hold the attention of all concerned, although they are not right now on turn. Advantage is a fast game time, because puzzle pieces are falling to the water at a dizzying pace and within fifteen minutes, your personal south pole is completely vacuumed from any fish or ice parts. 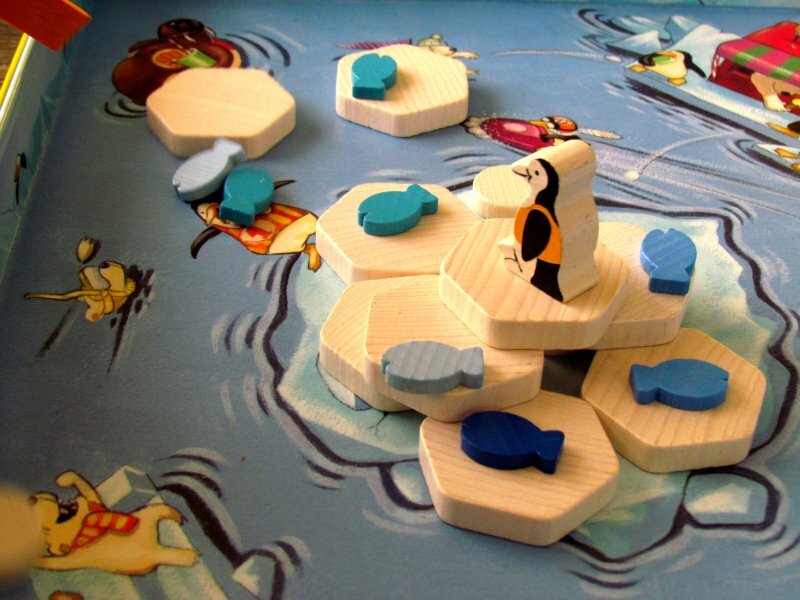 In the game, players can also use their already accumulated pieces for tactical option. 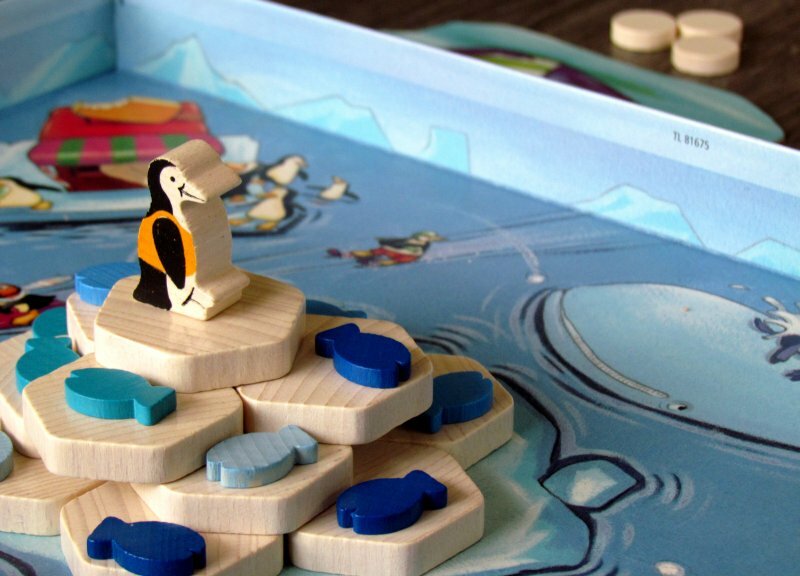 If they return one from their private stock, they can move penguin figurine as a reward to any other space and thus significantly affect the game itself. It can thus be used to block opponents. Given the focus on action, it is clear, that there is simply no tactical planning possible even with two players. 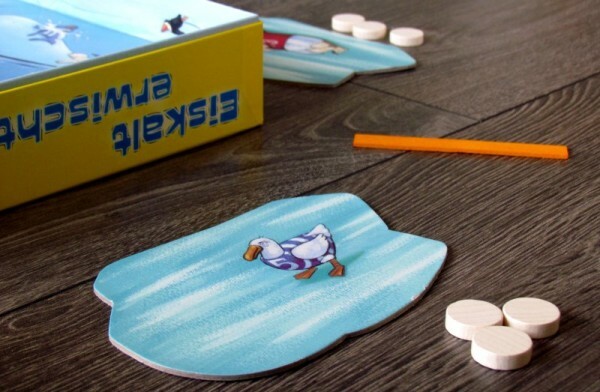 This game provides much more involvement in higher number of opponents, since the situation on the plan develops faster and more unpredictable. Likewise, you come to tighter results. But number of participants has no influence on game time. Eiskalt Erwischt! 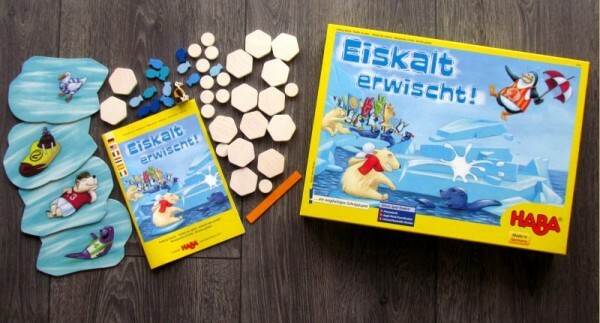 is a nice children’s game, that will teach them a basic skill for every child and hopefully draws them outside, away from computer. Flicking. 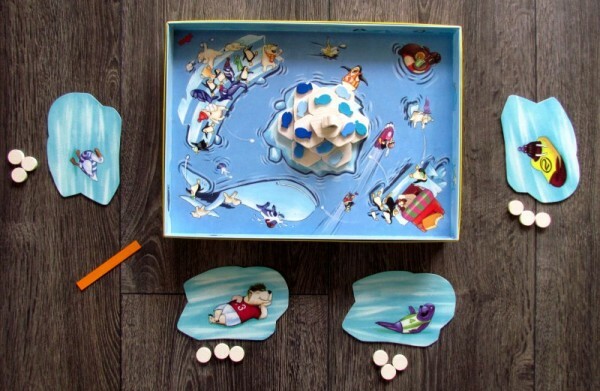 On the other hand, hand on heart – have you ever seen children playing with marbles recently? I did not. But it does not matter. 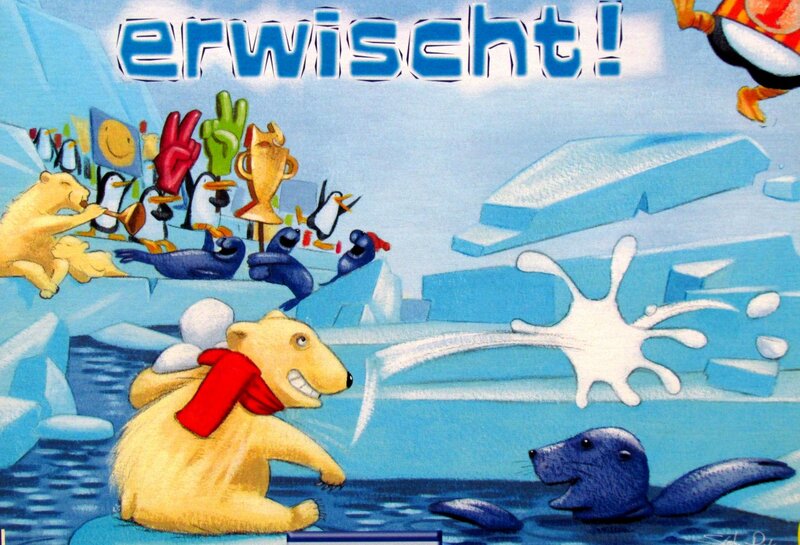 Indeed, it does not diminish in any way the fact, that Eiskalt Erwischt! 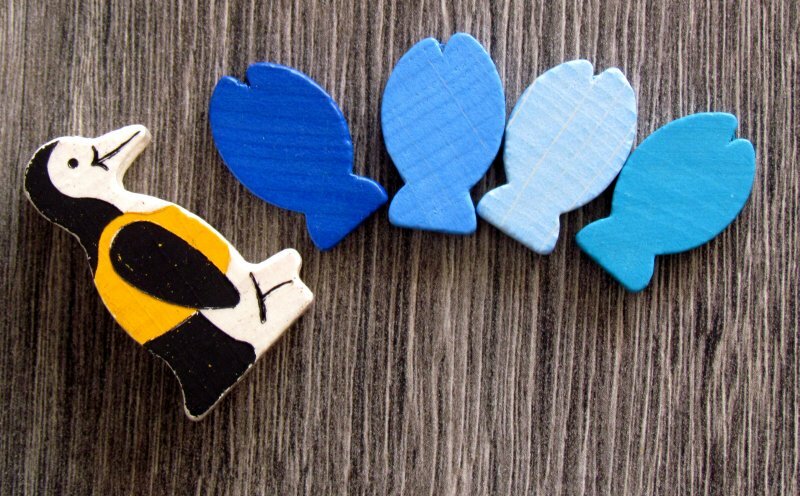 teaches children fine motor skills and even entertains them with proper rivalry.